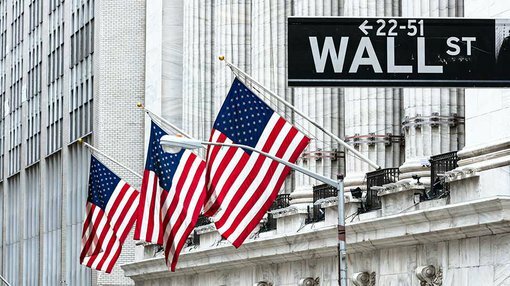 While the Dow finished up 36 points, closing at 20,949 points, it was a fairly uneventful day on Wall Street with the index trading in a tight range of less than 60 points. Investors appear to be waiting for the outcome of the Fed Reserve meeting despite the fact that most analysts see it as a non-event in terms of rate changes or setting direction in relation to monetary policy. From a stock specific perspective, Apple Inc has dominated the headlines in the last 24 hours, playing a significant part in driving the NASDAQ to a record high on Monday, and again on Tuesday. However, the quarterly earnings report that was released after Wall Street closed doesn’t appear to have been well received. Earnings were up while revenues were down and iPhone sales disappointed, prompting a 2% fall in the stock in after-hours trading. The trend was very different in Europe with markets responding strongly to exceptionally strong manufacturing data in the UK which saw the PMI for April come in at 57.3, well ahead of market estimates of 54.1. This represented a three-year high, and played a significant part in the FTSE 100 increasing 0.6% to 7250 points. Similar gains were experienced in mainland Europe with the DAX and the Paris CAC 40 up 0.6% and 0.7% respectively with the latter’s close of 5304 points the highest since January 2008. The DAX was even more impressive closing at an all-time record of 12,507 points. On the commodities front, oil continued to disappoint falling below the US$48 per barrel mark to hit an intraday low of US$47.35 per barrel. Most analysts are tipping further downside with no apparent positive near-term catalyst in sight. There was little movement in the gold price as it finished slightly higher at US$1257 per ounce. Iron ore was relatively flat at US$68.70 per tonne. There was generally good support for base metals with copper, nickel and zinc all up circa 1%, while lead came off slightly to close at US$1.03 per pound, still looking to push through its 30 day high of US$1.04 per pound. The Australian dollar is fetching US$0.753.